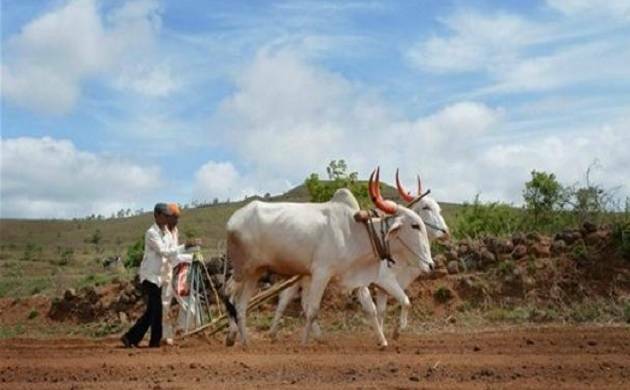 The Maharashtra government had announced a mega agriculture loan waiver of Rs 34,022 crore on June 24 after a state-wide agitation by farmers earlier that month. Amid the growing farmer’s suicide incidents in the country, Maharashtra Chief Minister Devendra Fadnavis on Sunday said around 36 lakh farmers in the state, covered under the recently announced farm loan waiver scheme, will have their entire debt waived. The government had set a cap of Rs 1.50 lakh for the loan waiver. There are 89 lakh cultivators who are beneficiaries under the scheme, the CM said during his television programme ‘Mi Mukhyamantri Boltoy’. The topic of today’s show was farmer loan waiver and its reach out, according to a press note issued by the Chief Minister’s Office (CMO). The CM received more than 20,000 SMSes and emails from people from all over the state, inquiring about the loan waiver scheme and its implementation. “There are 1.34 crore farmers in Maharashtra, of whom 90 lakh have availed crop loan. Out of it, 89 lakh farmers are eligible for the loan waiver scheme announced by the state government,” Fadnavis said. “The state-level bankers’ committee—which prepares state’s annual credit plan, has provided some figures to the government regarding loan waiver and its implementation,” he said. “Of the total 89 lakh beneficiaries, nearly 44 lakh farmers would get the maximum benefit of the scheme. Of these 44 lakh, the entire debt of 36 lakh farmers, who have an outstanding loan of up to Rs 1.50 lakh, would be completely waived,” Fadnavis said. The remaining farmers, whose outstanding loan amount is slightly more than Rs 1.50 lakh, can also avail the benefit by paying the difference above Rs 1.50 lakh cap, he said. A majority of beneficiaries are from suicide-prone districts of Yavatmal, Buldhana and Amravati, all located in the Vidarbha region, while a sizable number of farmers are from Akola, Gadchiroli, Gondia, Washim, Beed and Ratnagiri.